World Radio Day is held annually on February 13th. What a great concept! C. Crane loves radio and since this happens to correspond with Valentine’s Day, we can’t think of any better way to celebrate our first love! 2016’s World Radio Day theme is “Radio in Times of Emergency and Disaster”. C. Crane definitely understands the power of radio especially in times of emergency and disaster. This is why so many of our radios have the weather band and several have the weather alert option. Various models of emergency radios have been part of the C. Crane product line since 1998. The first rendition was the Baygen Freeplay Radio. 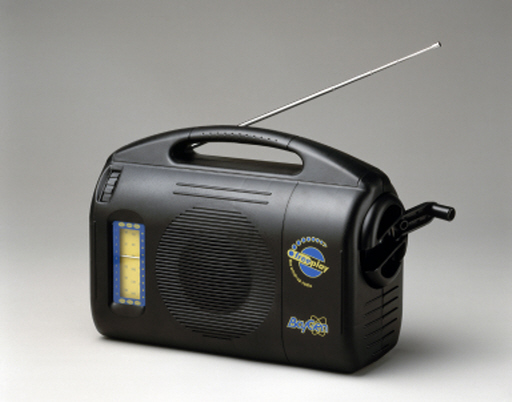 This radio was one of the very first wind up radios on the market with satisfactory reception and audio. The timing of the product release coincided with some of the worst storms the US had seen in years. Y2K was also on the horizon and people felt they could not be too prepared for what might be in store. At the same time, LED bulbs made their debut, which we added to the Baygen Freeplay Radio. Their long battery life and LED bulbs that didn’t burn out or break made these flashlights a must have. We’ve come a long way since those days and so have our radios. Emergency readiness and products that support disaster preparedness still hold a special place with C. Crane and so many of our customers. During hurricane Sandy several customers let us know how important their radios were in giving them a sense of security. Since many cars were washed away or under water, and power was out for several days, their C. Crane radio was the only way these storm victims could charge cell phones or get any information. With storms hitting all over the country, please take the time to check your radios and flashlights and make sure your emergency plans and kits are up to date. While we love the idea of setting aside a special day to acknowledge World Radio Day, here at C. Crane every day is a radio day and we know for many of you that’s the case as well. Cheers to celebrating World Radio Day with you in spirit while tuning in to listen to this great medium called radio!